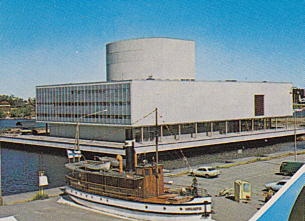 Municipal theatre, built 1972 by Marjatta Jaatinen and Martti Jaatinen. Handwritten Reverse Text: "1. 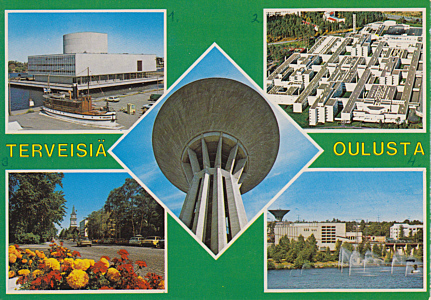 The theatre of Oulu, 2. Hospital, 3. One street, 4. The river of Oulu. In the middle is the tower of water"